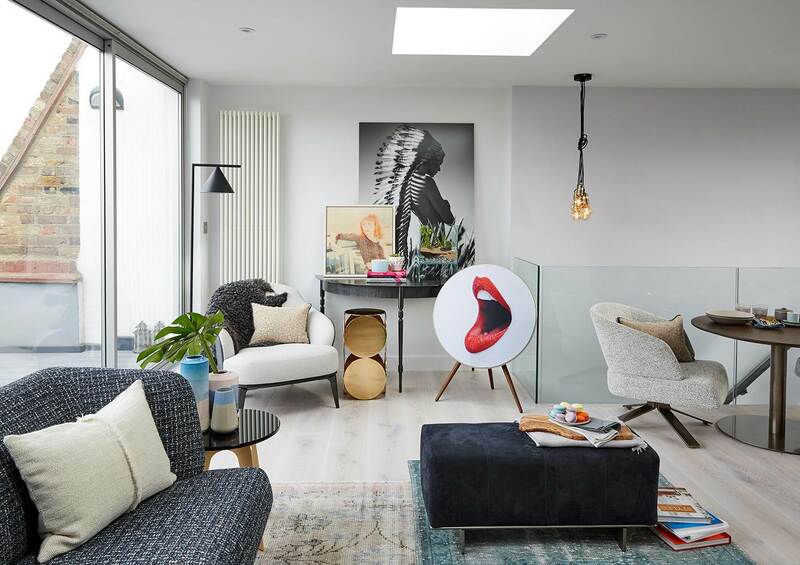 London-based Italian interior designer, Maurizio Pellizzoni, drew inspiration from the celebrity chic atmosphere of the Coachella Valley Music and Arts Festival held each year in California for the decor of this apartment located in Marylebone, one of London’s prime neighborhoods. 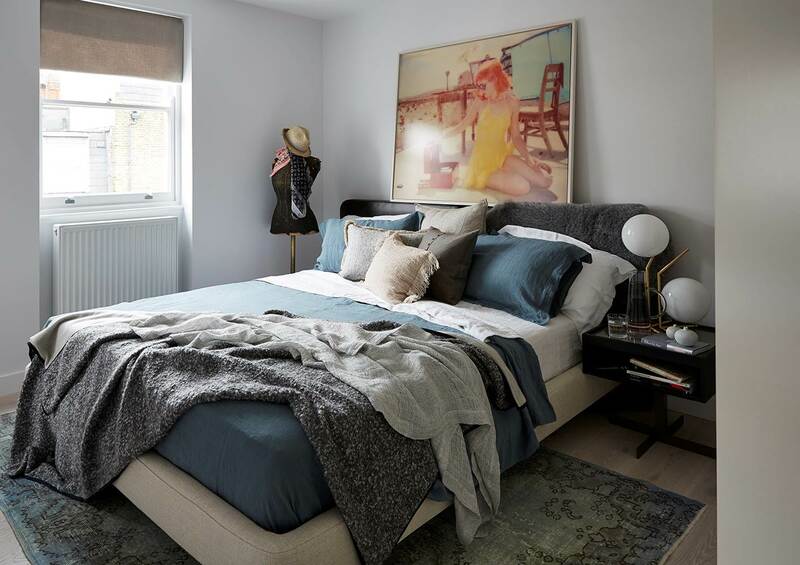 The owners – a professional couple – tasked Pellizzoni with redesigning the interior, which lacked light and warmth, to bring elegance and a modern, lively vibe to the apartment that would be home to their daughter. Light, feminine colors – a skillful blend of pastel shades and polished gold and chrome finishes – set the tone for this two-story home. 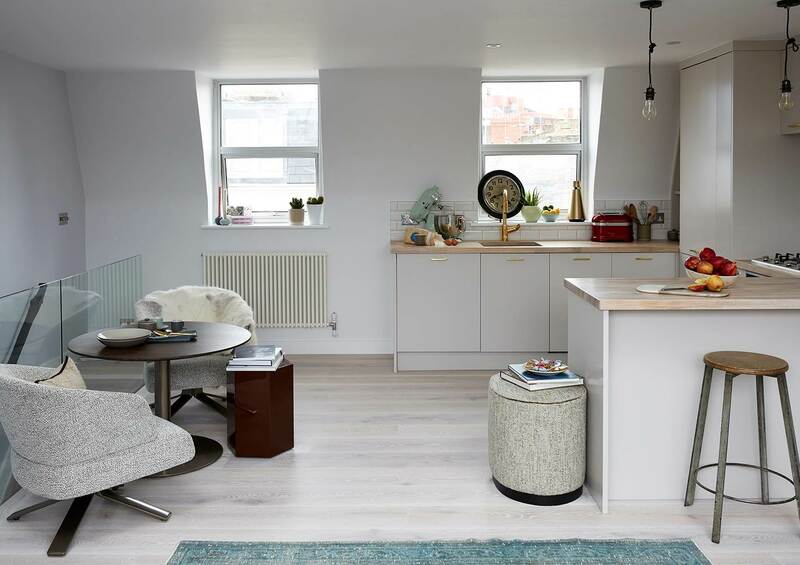 Upstairs, the light-filled living room is open to the kitchen and a tiny terrace with a view of the city. 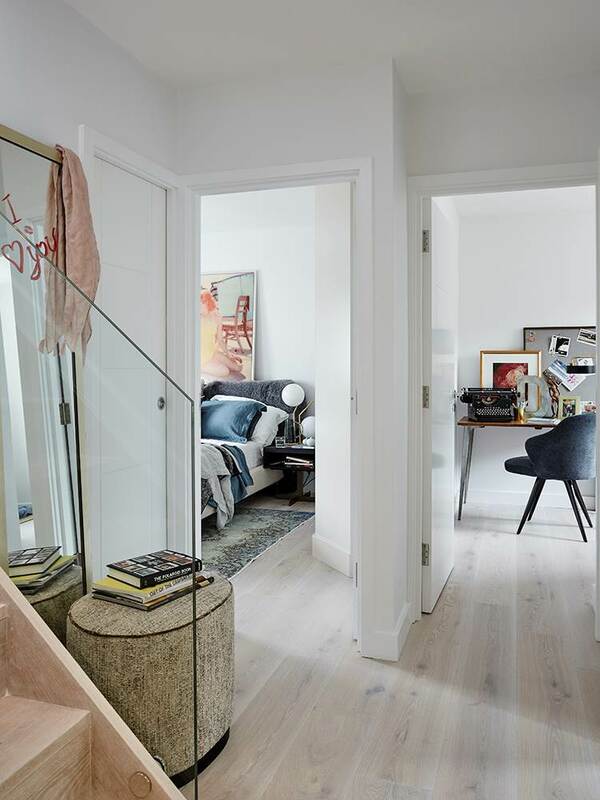 Downstairs are two comfortable bedrooms, each with its own bath, that open onto a convenient vestibule. 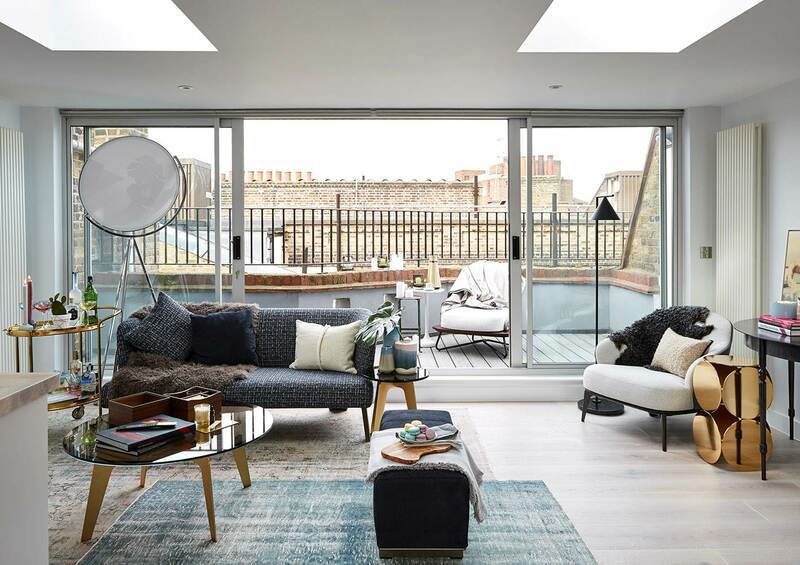 In the living room, illuminated by two large skylights, the Leslie armchair, Creed sofa and Freeman ottoman – with their classic lines and comfortable cushions – contrast luxuriously with the geometric, mirrored surfaces of the Still and Kirk side tables, all designed by Rodolfo Dordoni. The informal dining room was created by pairing two cushy Creed armchairs and a Corten color Aeron stool, all by Dordoni, with a Bellagio Lounge table designed by Gordon Guillaumier. 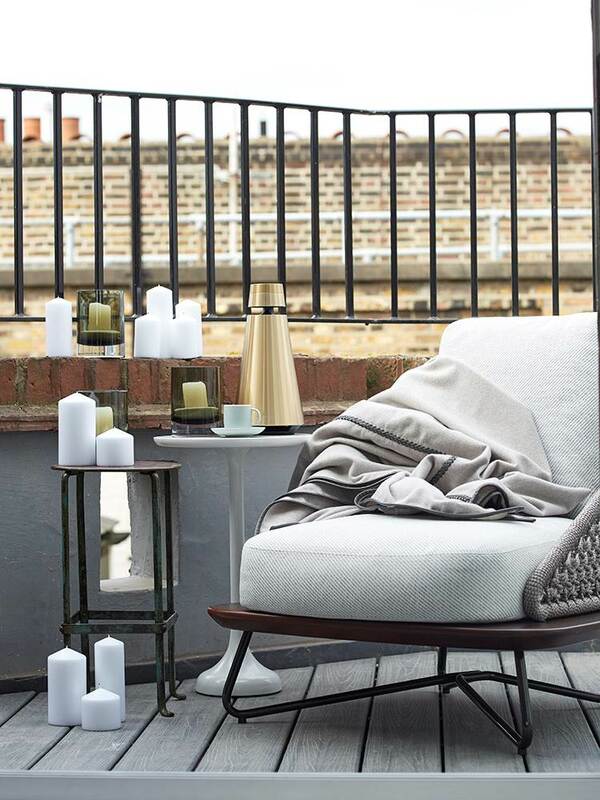 The amply-proportioned Rivera armchair by the Milanese designer – with its elegant woven backrest and upholstery in light grey outdoor fabric – is the real star of the terrace, where it is flanked by a grey Warren side table and one in metal. 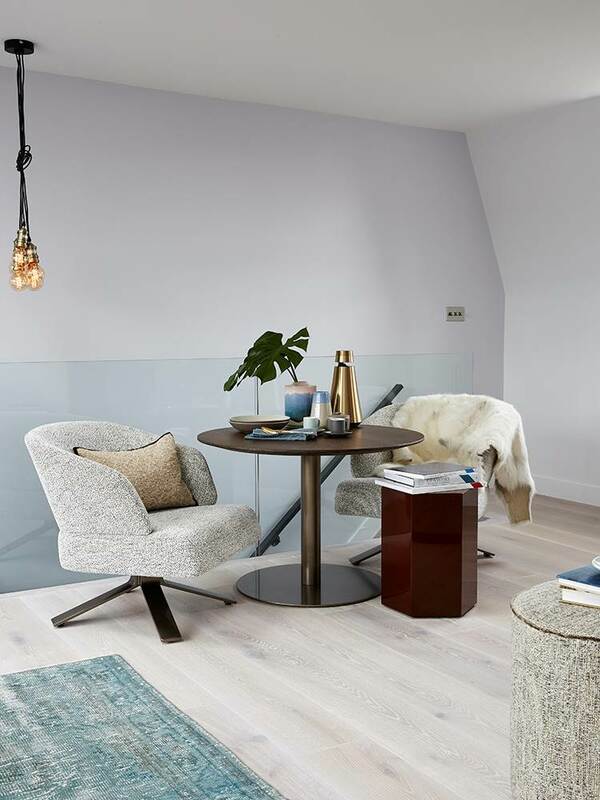 In the master bedroom and in the study – appointed with a playful choreography of art works and modern antiques – the spacious Tatlin bed and velvet-upholstered Leslie armchair, both by Dordoni, add warmth to the setting, while fabric accents lend an air of spontaneity. 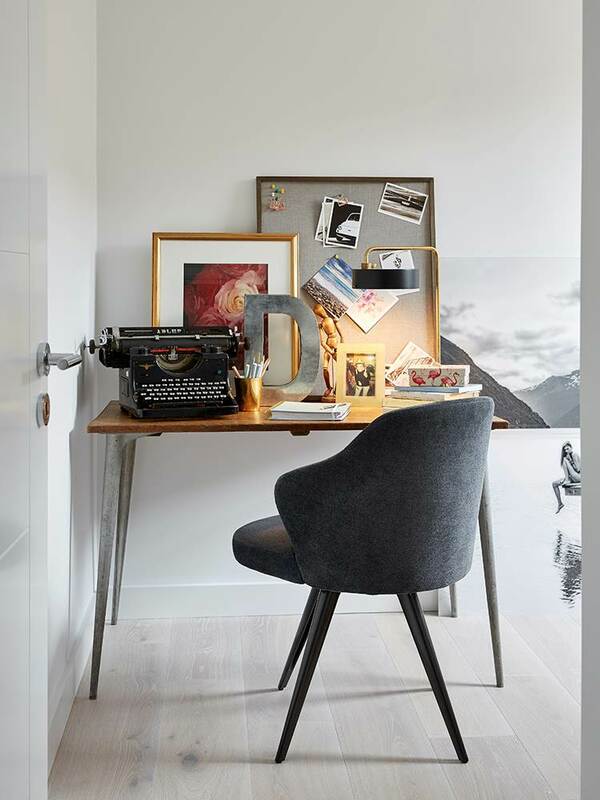 The Close night stand holds a pair of opaline table lamps and the owner’s reading material.